Update: GDC 2017 begins today with a few minor events held around the Moscone Center in San Francisco with the big keynotes from Microsoft, Unity and AMD kicking off tomorrow, February 28. Here's what we expect to see when they do. GDC 2017 is underway now, gathering professionals from every corner of the gaming biz to convene, show off their craft, and get the insider’s take on what direction the industry is headed next. Though GDC (full name: Game Developers Conference) is geared more towards demonstrations between fellow game developers and less the kind of massive reveals you'd see dropped at an event like E3 2017, it does occasionally take a break from its myriad inside-baseball lectures to give us onlookers a taste of what’s new and exciting in the gaming world. As the stage gets set for the annual melding of the minds in electronic entertainment - the official GDC 2017 dates are February 27 through March 3 - here are five things we want to see at this years show. 1. What's next for virtual reality gaming? Last year’s GDC might as well have been renamed The Virtual Reality Tour 2K16, with VR technology such as Oculus Rift, HTC Vive, and PlayStation VR all vying for the spotlight. As we head into GDC 2017, it’s time to see if VR gaming has some legs, or if the novelty is starting to wear off somewhat. There’s still evidence to support the former, with games like Rock Band VR and Star Trek: Bridge Crew around the corner, but we’re hoping more companies step up with their own spin on VR gaming. An example of one such firm is Manus VR, which last year revealed virtual reality-enabled gloves that offered players a chance to get a literal grip on the digitized world around them. Facebook has something similar in the oven for Oculus, as recent photos show none other than CEO Mark Zuckerberg playing around with a pair of prototype VR gloves. In addition to new spins on a now-familiar tech, we would also love to see what mainstays like Oculus and HTC have in mind for the future of their headsets - perhaps a tease of Oculus Rift 2 and HTC Vive 2? Invested as a software platform, hardware system, and game developer in its own right, Microsoft will be out in force at GDC. We think it’s high time we learn more concrete details about Project Scorpio, Microsoft’s mysterious high-powered 4K gaming console and answer to Sony’s PlayStation Pro. Nebulous descriptions about its immense computing power and six teraflops of graphical razzamatazz are great for building buzz, but now is the time for details, especially if Microsoft is serious about hitting that incoming Holiday 2017 release date. While Project Scorpio will be the star of Microsoft’s E3 efforts, GDC is the perfect time to start to get developers on board, plus scale up even more excitement for a big reveal, which we expect during that other gaming show in June. Project Scorpio’s planned support for VR also has us wondering: What’s next for Windows Holographic? Microsoft’s augmented-reality software initiative hasn’t made any big moves since HoloLens rolled out to developers, so what’s there to look forward to for those who don’t have $3,000 (£2,719, AU$4,369) laying around to purchase the augmented reality headset? Thankfully, Microsoft is rumored to distribute a more consumer-friendly Windows Holographic developer kit during GDC this year, according to MSPoweruser. The most exciting part? These kinds of headsets, intended for game makers to develop content with consumers in mind, are reported to fall in a more realistic price range of around $300-$400, significantly less than the enterprise-oriented HoloLens. There’s no guarantee where Microsoft is headed with its hardware just yet, but we hope GDC is where we start to see its plans fall into place. If you’re pinning your hopes on news from GDC that ignites the gaming world like the average E3 presser or Game Awards airing, then you’re looking at the wrong show. 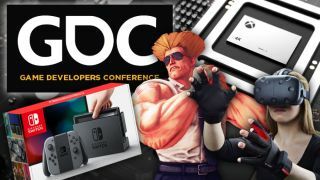 Whereas other, more extravagant spectacles see gaming’s biggest movers and shakers trying to one-up each other, GDC has a much more humble focus. That, however, is a good thing. GDC lets smaller game makers take the stage, opening the door for different, bolder, and sometimes downright strange games to find an audience without having to share the spotlight with the multi-million dollar hype train conducted by a new Call of Duty or Uncharted. That’s why we hope to see a slew of small-team darlings at this year’s GDC, from newcomers to seasoned vets in the indie scene. Whether it’s to announce a new game, show off the secret sauce behind their talents, or give first-time developers words of advice/warning/encouragement, we can’t wait to take a peek behind the proverbial curtain of game creation. On a more specific note, we’d love a surprise appearance from Gone Home developer The Fullbright Company, whose mysterious follow-up game Tacoma is fast approaching its spring 2017 release. After culling back its in-person presence at conventions - going so far as to only show one game at last year’s E3 - it’s nice to see Nintendo on the exhibitor list for GDC 2017. With the Nintendo Switch hitting store shelves on the show’s final day (March 3), we hope this is only the beginning of the handheld/console hybrid’s public relations tour. While the gaming giant's efforts may wind up being just an extension of the Switch's marketing push, we'd like to see Nintendo use GDC as an opportunity to demonstrate the console’s viability to developers, ensuring it won’t come out of the gate running on empty. Built on Nvidia hardware, the Nintendo Switch could potentially be one of the easiest platforms to ever develop for given the chip maker’s experience with graphics standards from its long-running like of PC graphics cards, and its production know-how with the Android-powered Shield Tablet K1. That said, both Nintendo and Nvidia have kept mum on what the guts of the latest system entail, but if Switch is truly a welcome home for developers, it falls upon Nintendo to make that known. We're not asking for anything as grand as announcing a brand-new IP or a sequel that would more likely merit its own Nintendo Direct livestream, but we think showing developers how to take full advantage of the Switch’s hardware could bolster third-party support for the system - something its predecessor, the Wii U, found sorely lacking. 5. What's the future of 'spectator' gaming? In addition to instructionals such as learning the new programming constructs in the Vulkan graphics API, GDC also hosts a number of talks that dive into every aspect of the industry. In recent years, one of the biggest trends has been the rise of playing video games for spectator enjoyment, falling everywhere from YouTube and Twitch users earning a living playing games online to speedrunning events like Awesome Games Done Quick raising over $2 million for cancer research to ESPN airing the Street Fighter V World Championships during last year’s EVO fighting game tournament. What we’re excited to see at GDC 2017 is how game developers are responding to this new, rapidly growing arena for consuming games. How are big-money eSports scenes handling their burgeoning popularity? What can - or should - developers do to make games more appealing during a livestream or TV broadcast? What are some fun and plausible ways for an audience to participate during a livestream? We’re keen to learn how platforms like Twitch.tv and YouTube Gaming (and, to a lesser extent, Facebook Live) are adapting to these growing audiences, as well as how they can make beaming out your gaming achievements to viewers not just faster and easier, but also safe and legal. There will be hours upon hours of knowledge shared in the halls of GDC in just a few days, and as gaming gains a bigger stake in public consciousness, we can’t wait to see how game publishers - from the well-established to the next big indie newcomer - handle the changing ways people enjoy electronic entertainment. GDC is the same week as MWC 2017, one of the biggest tech shows of the year!